For music and movie fans alike, concert films are very rare jewels – on the one hand they can offer an opportunity to see your idols in all their glory (in pre-internet days, perhaps the only chance you’d get to see them at all), and on the other hand the chance to see some of the world’s greatest filmmakers document the icons of an era. And when this collaboration flourishes, you end up with a vivid cultural snapshot few documentary makers could dream of. 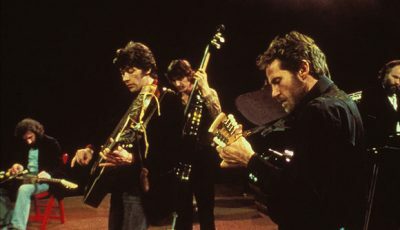 For a band, albums come and go, but the recording of a single live show is an opportunity to record for posterity an act at the zenith of their creative powers, reducing their aesthetic world view into 90 minutes of celluloid. In short, it’s the kind of thing you can’t get wrong. Some of the films here have been given full cinema showings, either at the time of release or much later, once their cult appeal has swelled sufficiently across the globe. Some were TV specials, later released for a home audience, and some may be near-impossible to find. 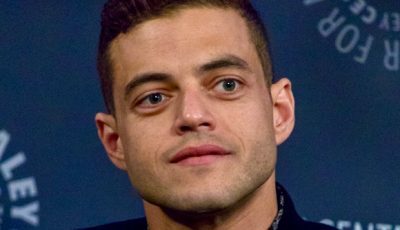 But, apart from this precious fusion of film and music, one thing both sets of fans have in common is a thirst for material so great they’ll scour the globe for a true gem. 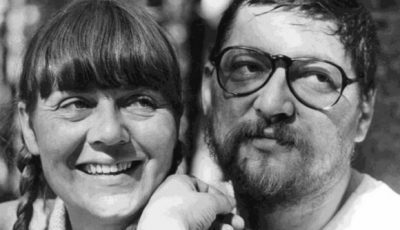 Everybody’s favourite Cockneys back up some big names for a boozy, British crowd – and show they were never just a novelty act but masterful, humble performers with a deep love of their craft. 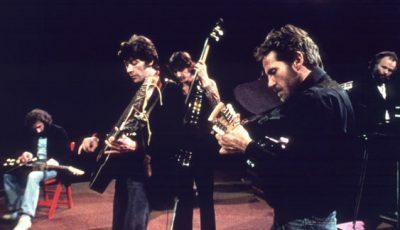 Set in a 1940s nightclub and backed by such greats as The TCB Band, Bruce Springsteen, Tom Waits, T-Bone Burnett and Elvis Costello, Roy Orbison and co. work their way joyously through a prolific back-catalogue of hits, reminding everybody why he was called The Big O.
America, 1973: Led Zeppelin perform three nights at Madison Square Garden in all of their pomp and glory. With ten-minute solos and a fantasy, celluloid vignette for each member, its both an awe-inspiring display of raw, musical prowess, and a poignant reminder of why punk started in the first place. 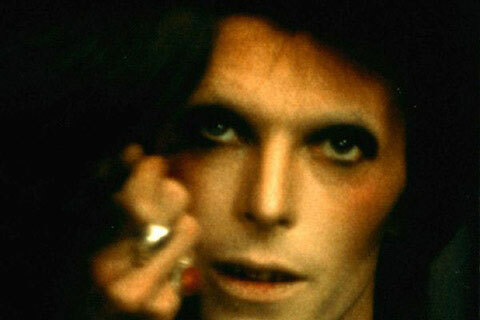 With his androgynous, alien Ziggy Stardust persona at the height of his fame, and at the end of a 60-date UK tour, D A Pennebaker captured a sexually charged David Bowie and his band in front of a hysterical crowd at the Hammersmith Odeon. The films fuzzy, muted colours only serve to enhance Bowie’s own elusiveness, as do the final, deliberately ambiguous words of the man himself – ‘not only is this the last show of the tour, but it’s the last show that we’ll ever do’. Captivating. 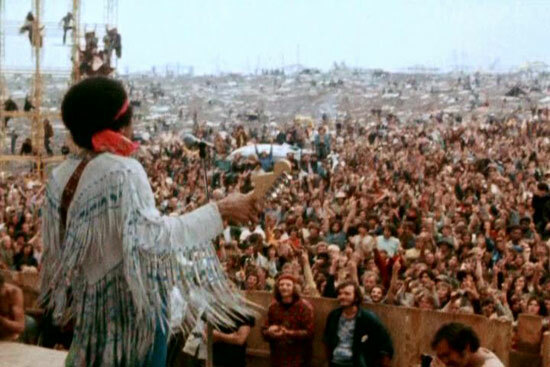 Despite featuring stunning performaces from the cream of 1960s rock and roll music, Woodstock is really only in part a concert film – it’s also a fascinating documentary of how a group of young people, born in and around World War Two, defied huge odds to create a cultural landmark of peace and love on a farm in upstate New York. 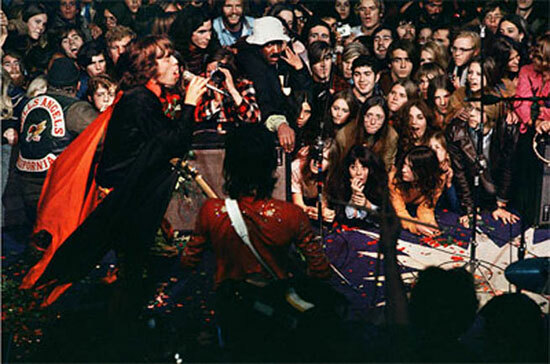 Culminating in the infamous Altamont show, Gimme Shelter is Woodstock’s natural successor – brooding and ominous from the outset, it marked the end of the hippy dream. There are some great live performances by The Stones from Madison Square Garden, but what you’re left with is a portentous and harrowing social documentary with a near-faultless soundtrack. 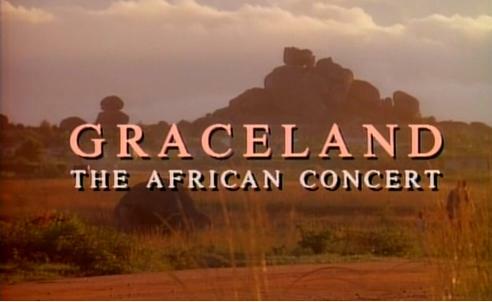 Despite criticism for breaking the cultural embargo put in place due to the apartheid system, the concert to promote Paul Simon’s Graceland album exposed Africa’s cultural wealth to a far wider audience. 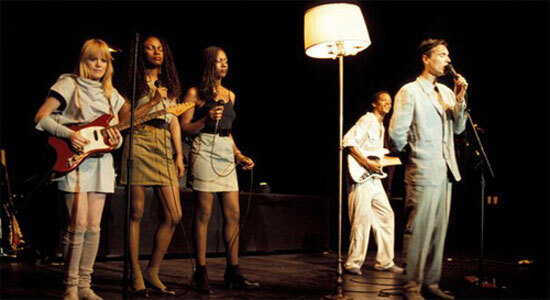 In hindsight, the concerns may seem justified – a poster in one of the opening scenes reads ‘Let us all rally behind our authentic and consistent leader Col. R Mugabe’- but what you see onstage is an effortless synthesis of cultures which launched the careers of artists such as Ladysmith Black Mambazo, Miriam Makeba and Hugh Masekela. While fans and critics alike tend to opt for the boyish, down-at-home charm of his ’68 Comeback Special, when it comes to impassioned, masterful performances, nothing comes close to this account of The King in Vegas. 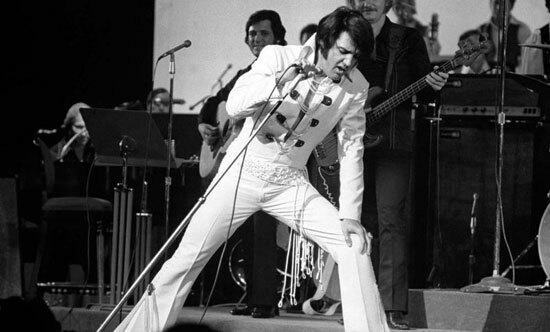 In front of the hottest band in town, Elvis – overweight, exhausted and pouring with sweat – looks eight feet tall and belts out every song with an untamed fervour, as if each one would be his last. Seldom few dig as deep as this. 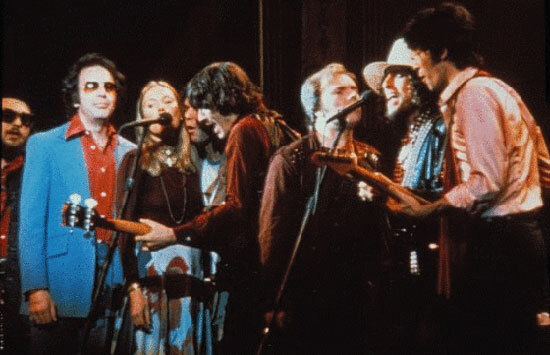 Retiring from live performance after 16 years on the road, The Band got buddy Martin Scorsese to film their farewell show, where they displayed their profound musical ability by backing Bob Dylan, Dr. John, Neil Young and many more. 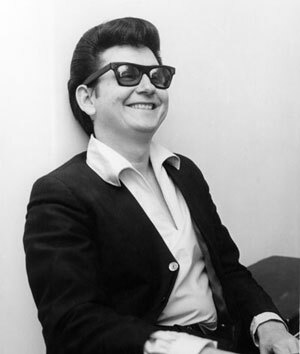 A rousing celebration of American music, and interspersed with revealing interviews discussing life on the road, it’s a stunning insight into the workings of one of rock and rolls greatest survivors. 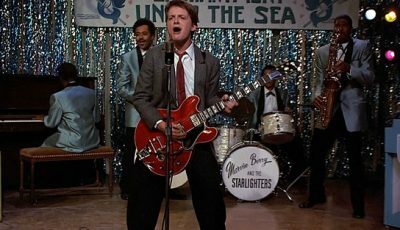 Theatre lighting expert Jonathan Demme directs this terse, vibrant and passionate live performance by a band at the apex of both their fame and ability. Ably assisted by a supporting cast of profoundly talented sidemen, the four Talking Heads enter the stage one by one, building to an electrifying crescendo of erudite, art-school punk-funk it is simply impossible to watch sitting down. Written and compiled by Donald Wolf. Donald Wolf writes a weekly film review column for Choose.net’s DVD rental website. The site has all the latest goings on at DVD rental providers including Lovefilm. Cool list! Haven’t watched most of them anyway. Didn’t know Jonathan Demme directed a concert film too. 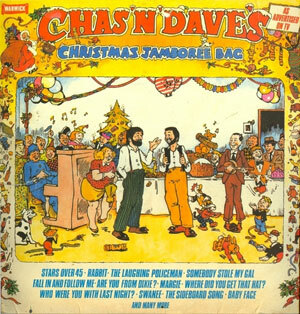 teehee Great to see Chaz and Dave in there, rabbitrabbitrabbitrabbit!! 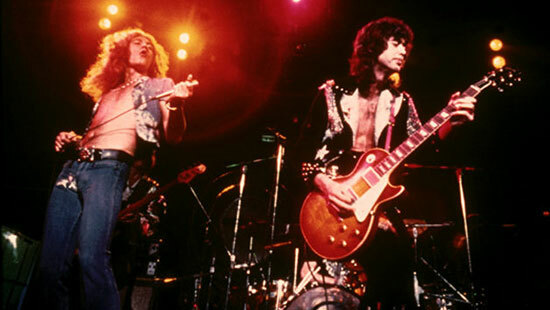 Led Zeppelin always make me happy too. Ya got me! I haven’t heard of most of these!! Rodney: There’s quite a few I need to catch up on too. 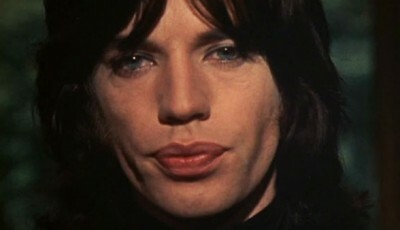 But Gimme Shelter is an exceptional film despite the music taking second billing to the horrific events that unfold. Jaccstev: Jonathan Demme also used his immeasurable deftness of touch with lights when he directed Neil Young’s Prairie Wind show at the Ryman Auditorium, Nasville for the Heart of Gold concert film. It was filmed just after Young’s aneurism, and it’s a simultaneously elegant and gutsy document of a true legend. Agree wholeheartedly with choices one and two – although on a different day I might reverse them. Demme also directed Storefront Hitchcock (for Robyn Hitchcock), though that one’s fallen by the wayside somewhat. And he did that terrific New Order vid too. I happened to watch Black and White Night on BBC4 last week. Very good but a couple of things distracted me: firstly the cut aways to the likes of Swayze and Sandra Bernhard (making it seem like a US equivalent to ITV’s ‘An Audience With…’ series); secondly, the sound felt as though it had been through a lot of post-production work to smooth out the rough edges (particularly notable whenever Tom Waits was on the organ) and thus make it feel less live. Finally: no love for Sign o the Times? 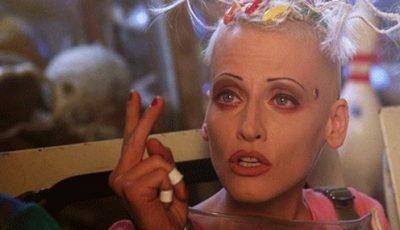 Also, yes – Sign O’ The Times is a stone cold classic, but a top ten is, of course, a top ten, and I just couldn’t squeeze it in ahead of any of the others. Like you said, on a different day….. I won’t cheat by mentioning the others I wanted to put in the list but couldn’t – in all honesty I didn’t realise how many concert films I loved until I had to narrow them down. Nice one for the comments!